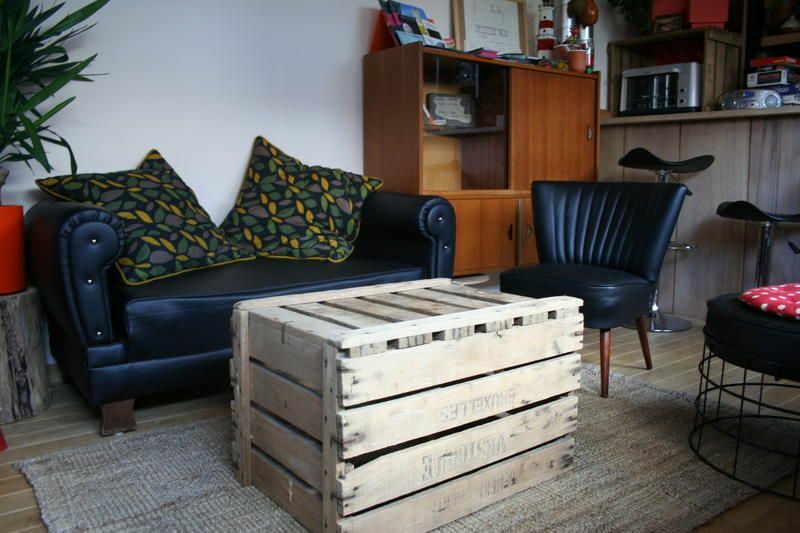 We know a hostel can make a big difference while traveling, so we try to offer you a place that reflects the spirit of Ghent: somehow different and headstrong, friendly, fun, but most of all relaxed! So hopefully you will like Ghent as much as we do!! 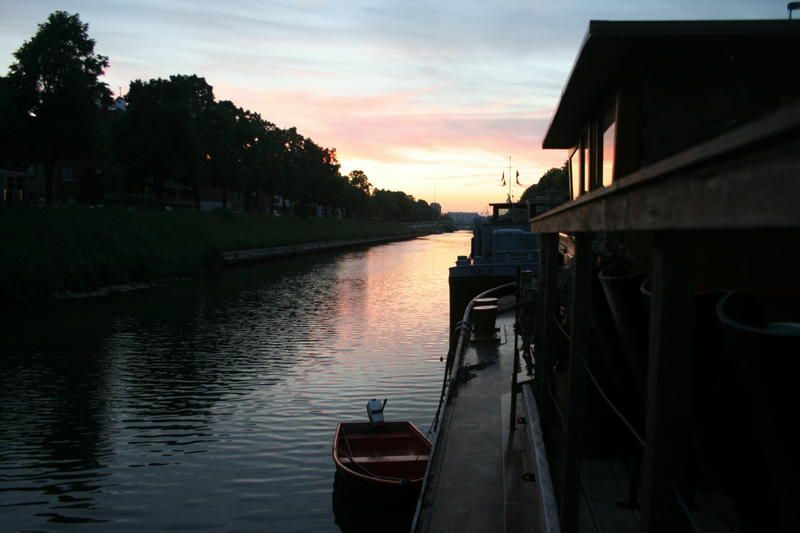 The hostel is located on a boat on a quiet canal just outside town, in walking distance of the historic centre. It is not everyday you can be a pirate, you might as well go for it! And do not forget that land was created to provide a place for boats to visit. If this is not enough to come here's some more! 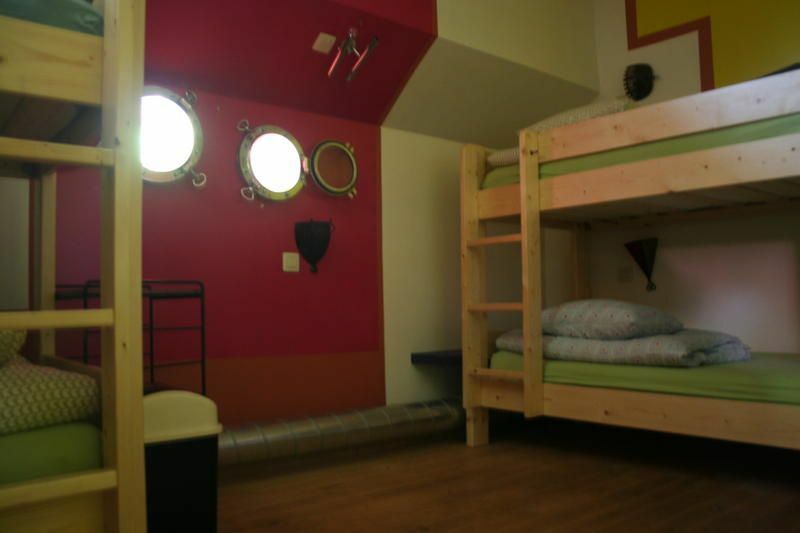 Low impact: the hostel is a converted barge, with a water purification on top of the roof, you sleep on 100% natural mattresses in a low energy building that is CO2 neutral. The breakfast is vegetarian, organic and fair trade; and we have some excellent organic beers, wine, lemonade and juices on offer, which you can drink on the - if you are lucky- sunny deck! But don't let the fact that we're ecological scare you, you do not compromise any comfort, on the contrary! The showers are huge and warm, the beds are big and soft, and hey, you are on a boat! We don't accept group bookings (maximum number of guests is 4), and reserve the right to cancel group bookings, even if made through separate reservations Low budget: we have double rooms as well as beds in dorms of different sizes, with prices starting from 22 , breakfast, linen and taxes included. And the enchanting, lively city of Ghent, advised as one of the top 10 destinations of 2011 by Lonely Planet, is included in the price! Life is pretty good in Ghent, why wouldn't it be? Come and check it out. No lockout or curfew, but we ask to respect the check-in time (2 until 8 pm); in case of later or earlier arrival please warn us in advance by mail or phone!